Picking out a garage door is a big decision, and it's a decision made more difficult by limiting yourself to pictures on brochures or the internet. These are incredible resources, no doubt, but there's something to be said for hearing the difference in insulation levels of steel doors, feeling the texture of a wooden door panel, or seeing the most popular panel designs side by side, reviewing their true color in sunlight. Our offices, located in the Central Maui Baseyard, include Maui's only physical showroom dedicated to garage doors and operators, and our knowledgeable office staff can answer questions on new door solutions and accessories alike. 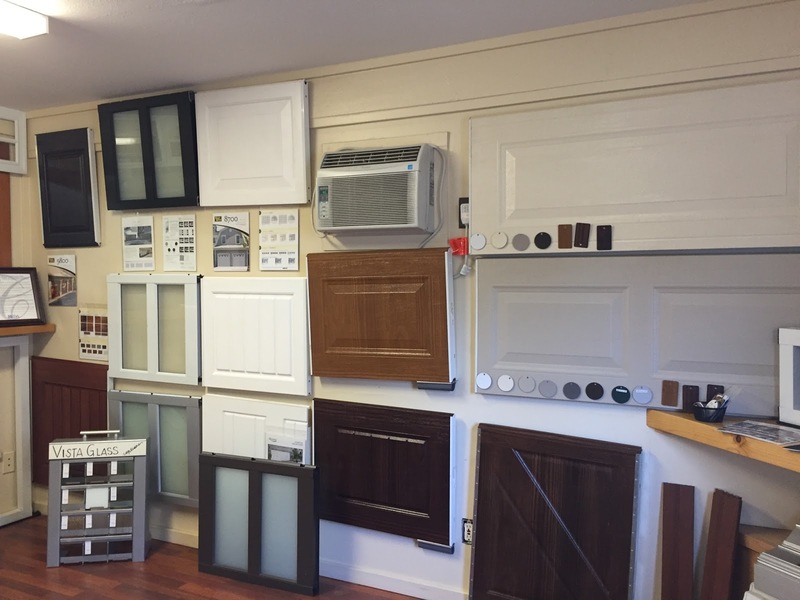 We have a wide selection of popular designs on display, including window openings and color swatches for nearly all materials. 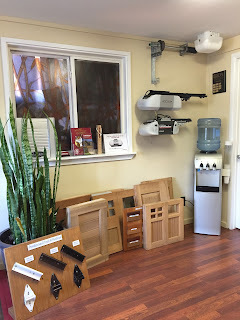 We can answer questions on and explain the benefits of steel, vinyl, wood, and fiberglass doors, let you know which does best on the different parts of our island, and show them all to you side-by-side. Google can find you anything, but we're one of the only places on island for you to see it for yourself. But technology also has its place, and another way we help you visualize the perfect door is our new, interactive tablet. With this tool we're able to take the conversation from our physical displays to a custom portrait of how these solutions will look on your home, as well as the full customization options available to you. And if you don't see something you like, we can also work on a completely custom door in a variety of materials that will work best for your unique situation. As always, estimates are completely free. As our thanks to you all this year, we'd like to invite you to come in and say hello - to bring it back to basics and talk story about what we can do for you, in person. Visit our showroom in the month of December and receive up to $100 off a complete door package, or 15% off any accessory. Many thanks for allowing us to be your go-to garage door service and installation solution in 2015, and we look forward to continuing to serve you in 2016!